Located in Min Buri, just north of Bangkok, Safari World is an 800,000 square metre complex comprising a Safari Park and a Marine Park. The drive-though Safari Park is inhabited by a range of African and Asian animals living in a natural habitat on show to visitors. 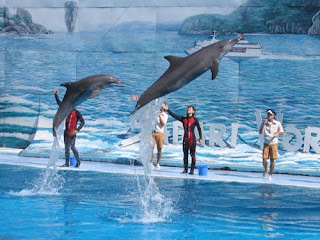 The Marine Park offers visitors regular dolphin and seal performances that are extremely entertaining for children. This is an all day event it out of Bangkok so however you decide to get there, it going to take you a while. There also a lot for children to see and do so don expect to get off lightly the kids will drag you round this place all day! How to get there : Given the distance involved, and that fact that you are probably taking a child, a taxi is recommended. Although expensive, the savings in convenience entirely outweigh the cost. However, if you are adamant, a number 26 bus from Victory Monument will take you to Kilometre 9 of Ram Indra Road. 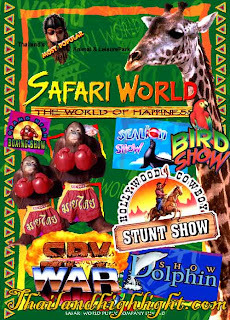 From there you can take a mini-bus service to Safari World. 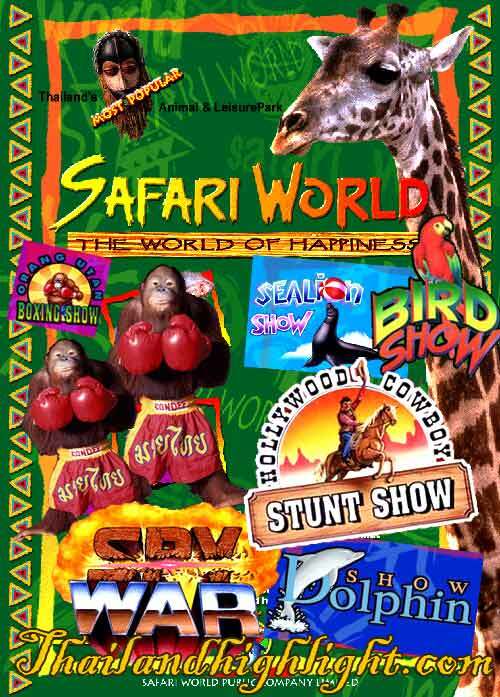 Details : Safari World is open daily from 09:00 to 17:00. 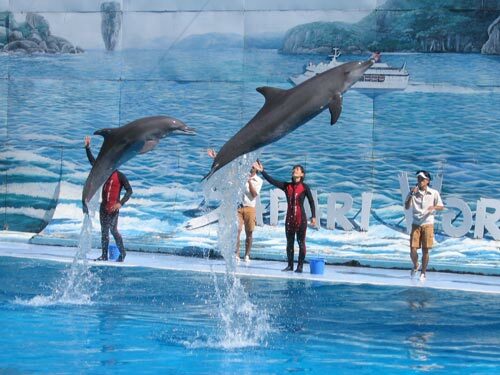 Admission for an adult is 700 Baht and 450 Baht for a child.